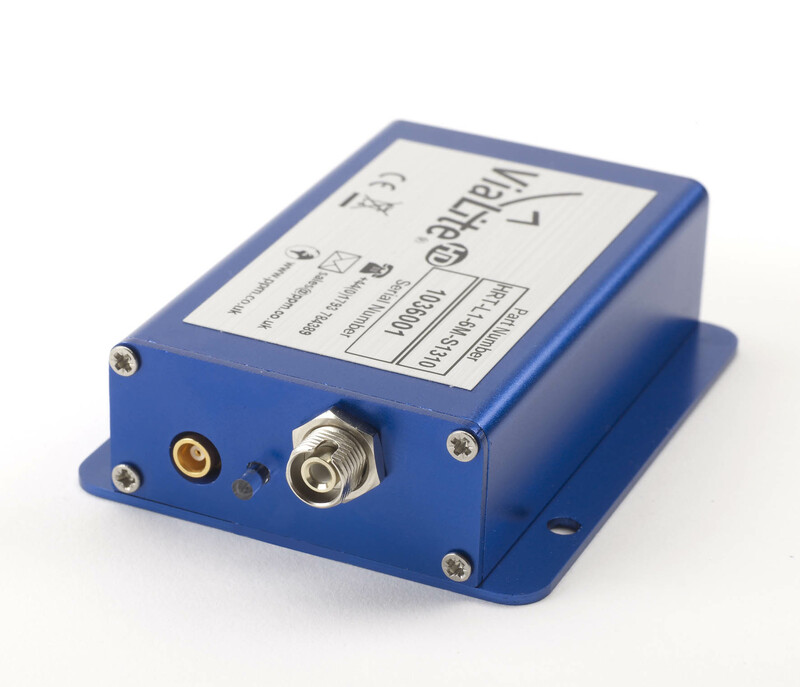 All ViaLite RF over Fiber products are available in module formats. ViaLite links of the same product type (L-band, DVB-T, GPS etc.) can be mixed irrespective of hardware format (rack card or module) or product range (Classic or HD). The Edge OEM module is designed to allows system integrators and equipment manufacturers to very simply integrate this on a motherboard giving an easy route to build RF/optical interfaces into their own design. The very small form factor of this module allows it to be fitted easily into existing mechanical housings. The ViaLiteHD M-Link module can be integrated into existing systems but is designed to exist as a standalone link in its own right. The backplate is removable, allowing for both front and back mounting. The dedicated power supply HPS-CS3 enables the module to operate as a standalone link.